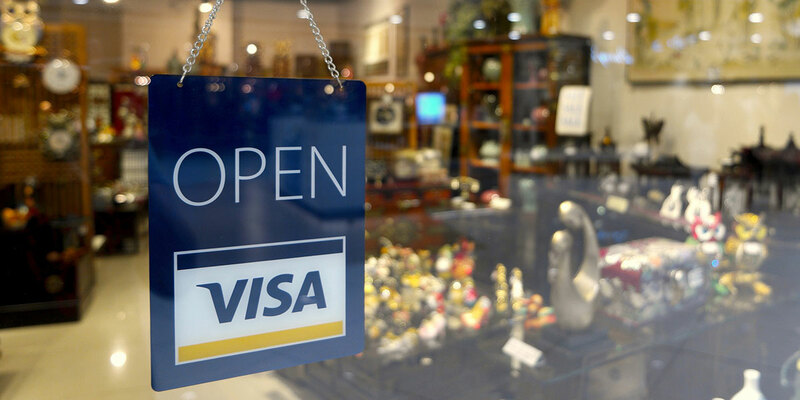 Later this year, Visa plans to remove the interchange cap on consumer debit fees, which will result in a significant fee increase for merchants with Average Transaction Values (ATV) above £245. This will particularly impact businesses like garages, travel agents and other B2B businesses that sell other high value goods or services. On 1st March 2015, Visa Europe changed its debit interchange rate from a fixed rate per transaction to a percentage-based fee. This resulted in significantly higher fees on all transactions above £35 and was a particular headache for merchants with high value transactions in the hundreds or thousands of pounds. For more information, please see our previous blog Warning: UK Card Processing Fees Change 2015. To give some respite, Visa Europe capped their debit interchange fees at 50p for chip and pin with higher caps for business debit and CNP/non-secure eCommerce transactions. Most acquirers passed on the benefit of these interchange caps in some form to their customers with high ATVs, either through interchange plus pricing or fixed-rate debit charges marginally above the cap. If your average transaction values are below the point the cap kicks in, September’s change is unlikely to impact you. We hope acquirers don’t use the change as a profiteering opportunity by increasing fees for lower ATV merchants as there is no basis to do so. However, if you are a high ATV merchant, the price increase could be very important. Here are some examples for consumer debit chip and pin transactions, which previously all incurred only 50p of interchange. Bear in mind that what we show above is the change in interchange costs, i.e. the cost that Visa levies on acquirers (WorldPay, Barclaycard, etc). The acquirers then charge a margin on top of their interchange cost and that total (the Merchant Service Charge ) is what you, the merchant, pay. To what extent will the acquirers treat this as a profiteering opportunity and pass on increases greater than the interchange increases? In recent years, every time that interchange has changed acquirers have profiteered by passing on extra cost or not passing on the full benefit of reductions. However, it would be a bold move to profiteer on the back of this change as we expect a large outcry from affected merchants. A used car garage that sells cars for between £5,000 and £10,000 will see costs rocket by thousands of percent. There are a number of appropriate responses to the changes to card processing fees. All acquirers will incur an uncapped 0.2% cost so his will be the minimum charge you should expect to pay. Comparing providers takes around 2 minutes and can save you up to 40% on your processing fees. Click here to see how much you can save. One merchant we helped who is currently with one of the market leaders has been told their debit fees will increase from 80p per transaction to 0.5% of transaction value. Their ATV is ~£900 so their increase is £3.70 per transaction whilst their acquirer’s interchange costs will only rise by £1.30. That’s an additional profit of £2.40 per transaction for their acquirer had we not helped them switch! While it isn’t particularly popular, a lot of businesses do levy credit card charges on their customers. As debit card costs are now approaching a similar level, customers are beginning to expect similar charges on debit card transactions. The current surcharging legislation allows businesses to pass on their direct costs. However, this could change in the near future with an outright ban on surcharging Visa and MasterCard consumer debit and credit cards. Clearly you have to opt for payment methods that customers want to use but there are more options out there. Bank transfers are becoming more popular, offering faster payments under £10,000. Additionally, bank transfers can be free, almost instant and more easily accessible through mobile devices. The downside for customers is they don’t carry the same chargeback protection as credit and debit cards. In the near future, we predict that alternatives such as Zapp, PayM and Pingit will gain much more consumer traction and emerge as real alternatives for businesses.